I have not personally visited this artwork by Navin Rawanchaikul but I have seen it from a ferry at sea. 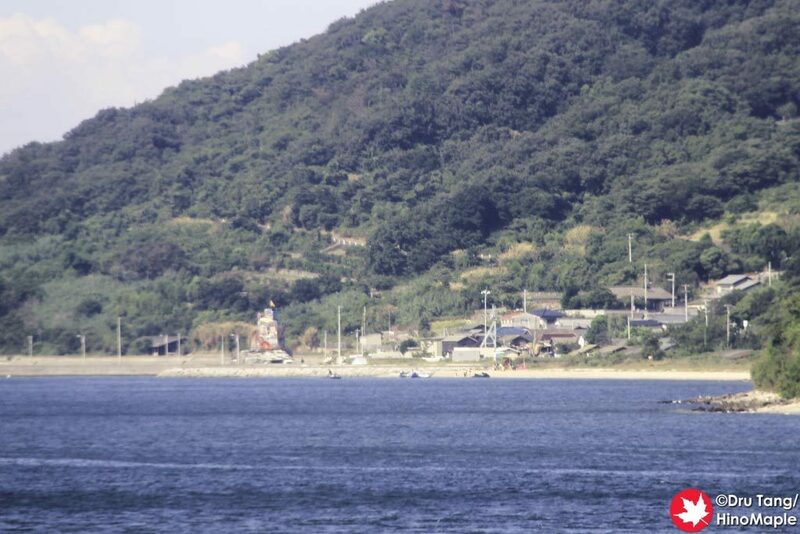 Based on the photos on the Setouchi Triennale’s official site as well as what I could see from the sea, I can say that this is a very interesting artwork. It looks much bigger than the photos I have seen online and I’m sure that if you do choose to go there you will be one of the very few people to visit it. Unfortunately you won’t have a lot of time to go as buses only give you 15 minutes to enjoy the artwork. While I didn’t have a chance to go to that side of the island and enjoy the artwork, I did see photos from other websites and from what I can see, you can head up into it and to the top of the tower to enjoy the view. The entire artwork is designed to feature images of the local residents as well as play interviews from them as well. Based on the fact that it is made of plywood, I’m worried it will not be available in 3 years, but my fingers are crossed that it will survive the test of time. Note: Nishiura OK Tower is no longer available on Megijima. This entry was posted in Setouchi Triennale and tagged japan, Megijima, Navin Rawachaikul, Nishiura, Nishiura OK Tower, Takamatsu by Dru. Bookmark the permalink. Yes, it was a very nice and fun artwork. I realize that I never blogged about it, but yeah, it only lasted the time of the Triennale, which is a shame, it deserved to be long term.